In the 1960s, my father shared his love of classic cars with me. 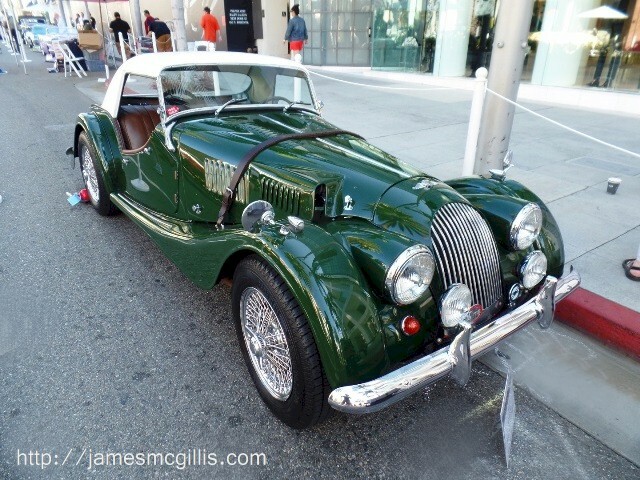 Each Father’s Day, we would attend the Beverly Hills Concours d’Elegance at the Beverly Hilton Hotel. There we would see well-restored automobiles from the first half of the twentieth century. In those days, just prior to the revolution in automotive horsepower, large saloons and tiny sports cars dominated the show. As we walked the parking lot, we would see an old Packard here and a Duesenberg there. 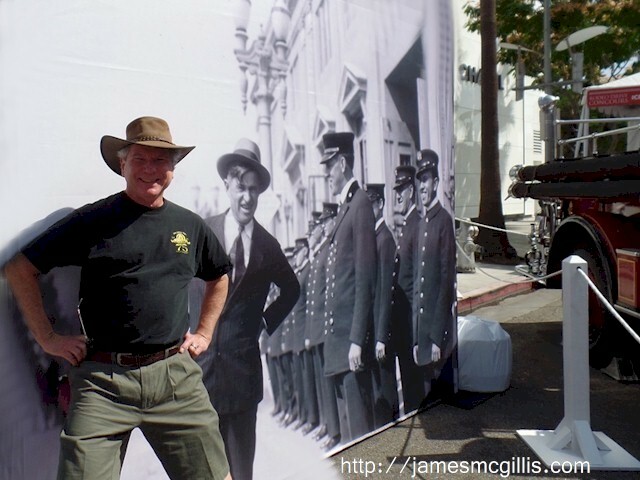 Later, my father told me stories about Los Angeles in the 1930s. 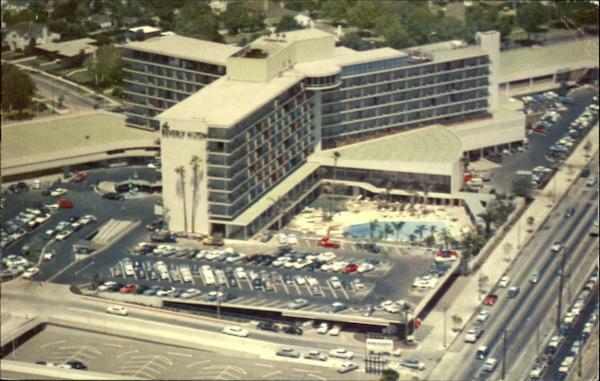 As a teenager, he and his friends would walk to Wilshire Blvd. There, they would wait at a traffic light for a suitably large automobile to stop. Then, without the driver being aware, they would dash out and sit on the wide rear bumper platform. 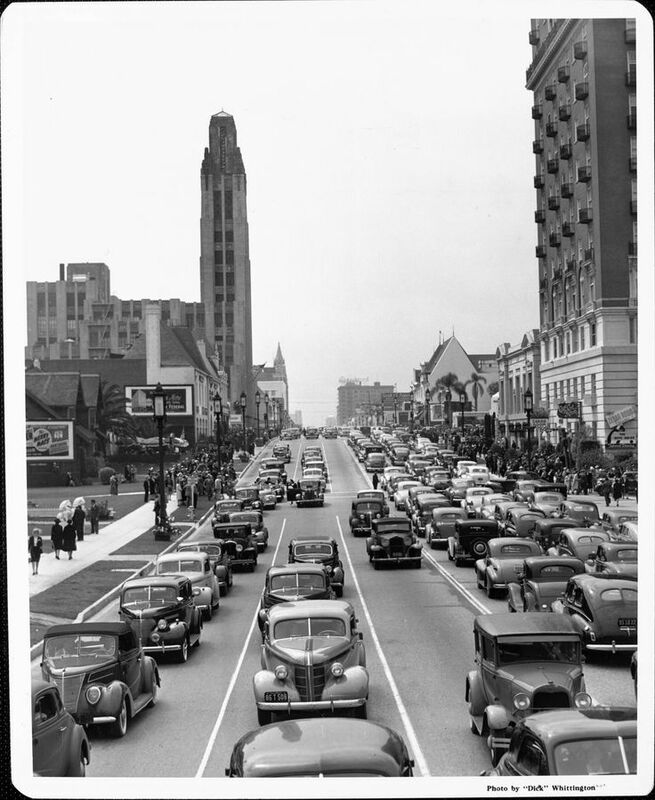 Cars did not accelerate or travel very quickly in the Los Angeles traffic of the day, so there was little danger of ejection from their perch. When they reached their destination, they would hop down and walk away. Several years ago, I restarted the Father’s Day car show tradition. 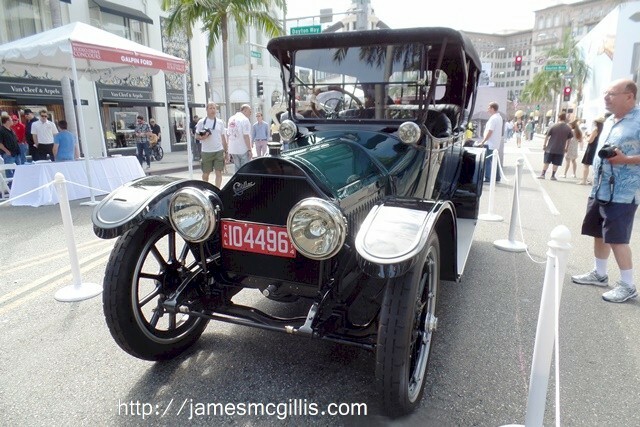 For twenty-three years now, Beverly Hills has sponsored its Concours d’Elegance on the famous shopping street, Rodeo Drive (pronounced “Row-day-o”). It is free to the public and often includes classic cars and super cars seen nowhere else except a museum. 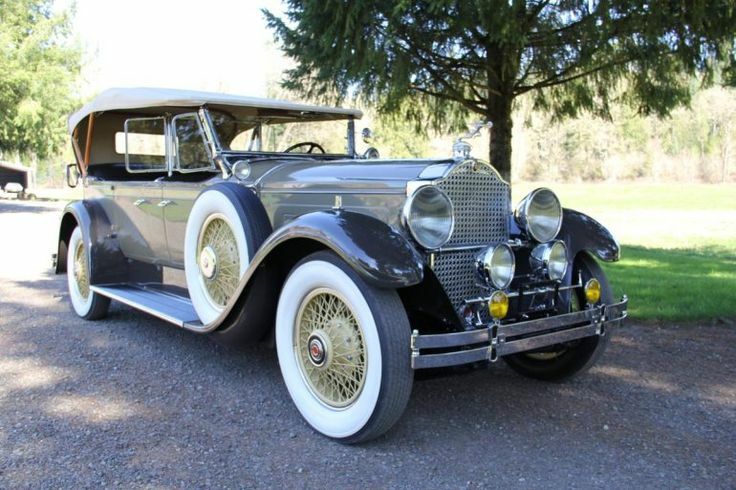 Last year, I saw the same 1915 Cadillac that my father and I had seen in the 1960s. In 2015, it was one hundred years old and arrived under its own power. This year, I hit Rodeo Drive at eight o’clock. Many of the cars were still arriving and taking their places along the curb. 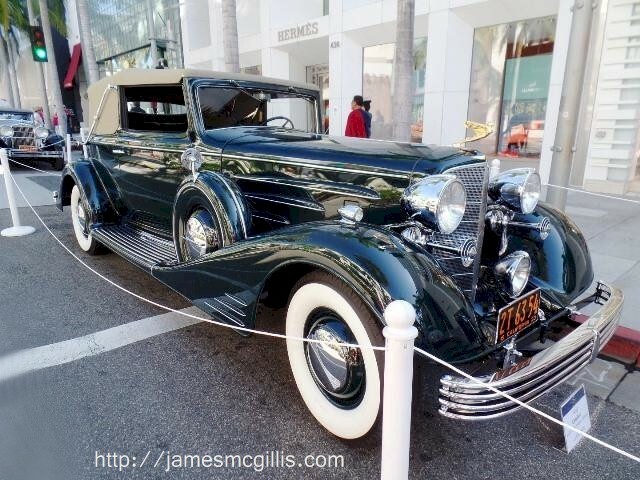 Although the 1915 Cadillac did not show this year, there was a 1933 vintage V-16 Cadillac and a 1930s Packard to ogle. In addition, there were at least a dozen red Ferrari to spice up the show. 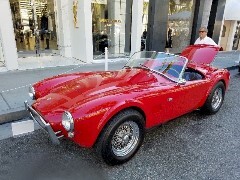 Having grown up in Southern California, I was hoping to see the quintessential American sports car – The Shelby Cobra. As a tingle went up my spine, I heard a 289 cubic inch V-8 engine rumbling up the street. I ran to a spot where I was able to capture a classic 1965 Cobra preparing to park in its appointed spot. With only 150 of the 289-Cobras produced that year, I was looking at a rare automobile. After the driver parked, I stood with him and admired his classic Cobra. He told me that he had purchased it from a private party about twenty years ago. Without my asking, he told me that he had paid $175,000 for the car. He had repainted it in a dazzling red and done some engine work, but otherwise had kept it in “stock” condition. According to a classic car valuation website, his Cobra may now be worth $1.2 million. If you are in the market for a concours-condition Shelby Cobra, he does not plan to sell. Although the field of classic cars was a bit smaller this year, the 23rd Annual Father’s Day Concours d’Elegance was as exciting as ever. If you want to see the cars arriving next year, I suggest that you get to the show prior to the 10 AM start time. Perhaps I will see you there. At 5:39 AM on February 24, 2015, Metrolink Train No. 102 departed the Oxnard Transit Center. 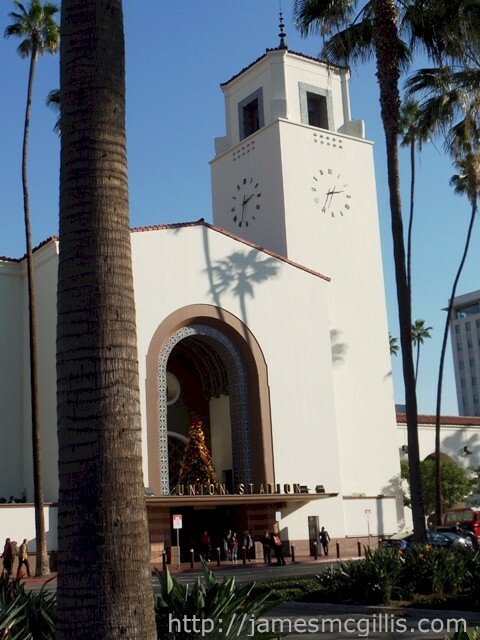 Its intended destination was Los Angeles Union Station (LAUS). After negotiating a sweeping arc of track, the train crossed Rose Ave., at Milepost 405 of the Coast Line. Leading the way was Hyundai-Rotem Cabcar No. 645. After negotiating the initial curve, ten miles of straight track lay ahead. Under the control of a student engineer, the diesel pusher train quickly accelerated to seventy miles per hour. With Metrolink Sr. Engineer Glenn Steele occupying a jump seat behind the student engineer, it would be less than one minute before the cabcar reached Rice Ave. at Milepost 406.23. Unknown to the engineer and his student, an abandoned Ford F-450 work truck lay high-centered on the tracks eighty feet west of Rice Ave. In the early morning darkness, the headlights and emergency flashers of the disabled truck pointed toward the oncoming Metrolink train. Until it was too late to avoid a collision, neither the student engineer nor Steele determined that the truck’s lights represented a hazard. While traveling at seventy miles per hour, and with less than three tenths of a mile to go, the student engineer saw the headlights looming before the cabcar. Sounding the horn and applying the brakes was insufficient to prevent a collision. On orders from Steele, the student applied emergency braking and both men bailed out, heading toward the rear of the cabcar. With the brakes engaged, less than 1500 feet separated the cabcar and the work truck. As momentum carried the entire train forward, the impact with the truck was catastrophic. 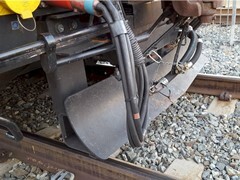 The pilot, a blade intended to clear debris from the tracks, detached from its support structure and disappeared beneath the cabcar. As the wreckage traveled along the tracks, the cabcar and its following coaches derailed and whipped in opposite directions. As the first two cars rotated and toppled on their sides, the whipsaw effect injured dozens of passengers and crew. One week later, Sr. Engineer Glenn Steele succumbed to his injuries. 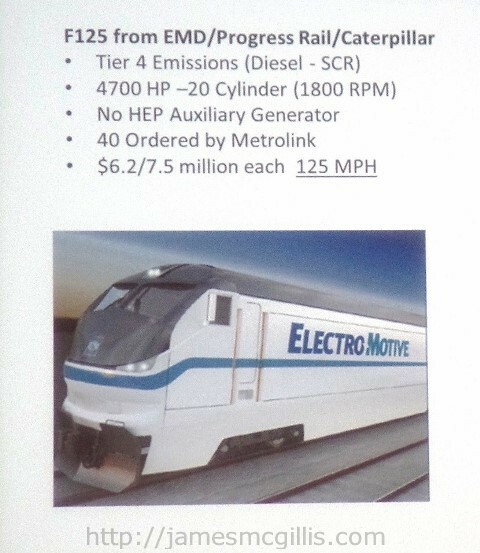 In early reports, Metrolink touted the crash energy management (CEM) features of the Hyundai-Rotem cabcar. Without its safety features, a spokesperson said, the severity of the incident could have been greater. A preliminary report by the National Transportation Safety Board (NTSB) made such statements seem hasty and ill informed. By September 2015, the NTSB had determined that both the steel within the pilot and welds in its structural supports were deficient. Further, the entire assembly had ripped loose at stress levels below its design criteria. After receiving an NTSB report regarding failure of the pilot assembly, Metrolink officials skirted discussions regarding any potential design flaw or culpability in the collision. Instead, Metrolink management initiated a conference call with its board members. During that call, the Metrolink Board approved a one-year lease of forty BNSF freight locomotives at a total of $20,000 per day. According to Metrolink Chief Executive Art Leahy, the forty freight locomotives would soon head up all Metrolink trains on their return trips to LAUS. Using the “rule of tonnage”, Metrolink management wanted to rule out the possibility of another deficient pilot or cabcar causing injury in a collision. 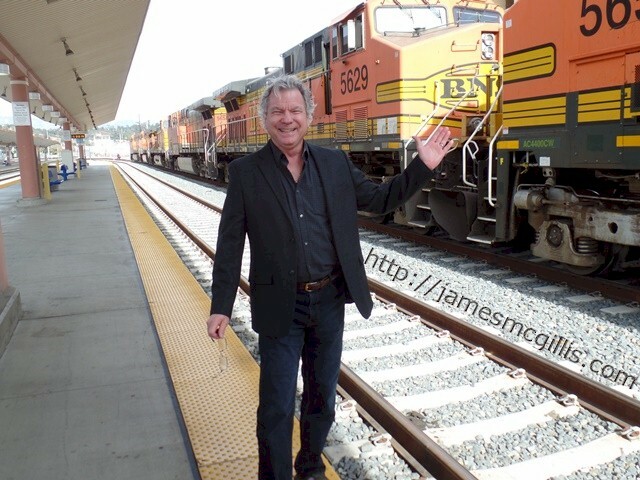 Lost in the publicity regarding this supposed safety measure was the fact that no regional rail carrier in the nation had ever utilized freight locomotives to head up passenger trains. Citing the unprecedented, yet unspecified safety issues involved with the Hyundai Rotem cabcars, the Southern California Regional Rail Authority (Metrolink) Board sidestepped the California Open Meeting Law. That ill-conceived and illegal action set Metrolink on a path to its potential demise. It also put the executive management team at Metrolink in a position to either defend their actions or place blame on its own board or others yet unnamed. On December 5, 2015, I attended the “Steel Wheels Conference”, which is the annual meeting for the rail passenger association known as RailPAC. The meeting convened at the Metro Headquarters Building adjacent to LAUS. 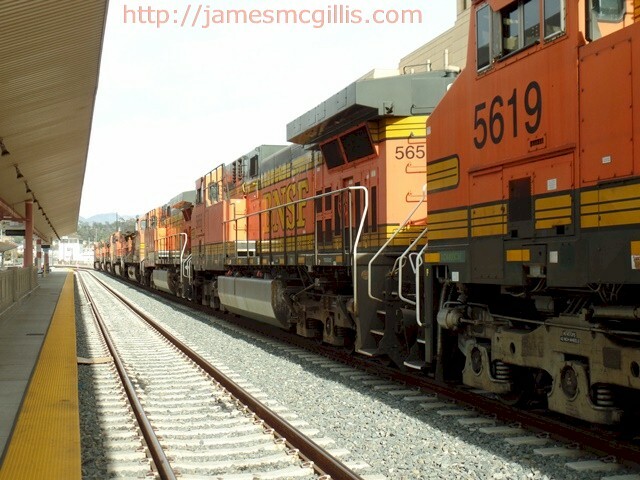 While on a lunch break, I discovered a long line of BNSF freight locomotives parked on LAUS Track Number 14. With no room to spare in its maintenance yards, Metrolink had redirected at least sixteen of the leased BNSF locomotives to the depot. In "The Purloined Letter", a short story by American author Edgar Allan Poe, detectives assumed that a blackmailer would conceal a damning letter in an elaborate hiding place. Thus, he hid it in plain sight. In a flash of chutzpah and hubris, the Metrolink executive team decided to hide almost 7,000,000 lb. 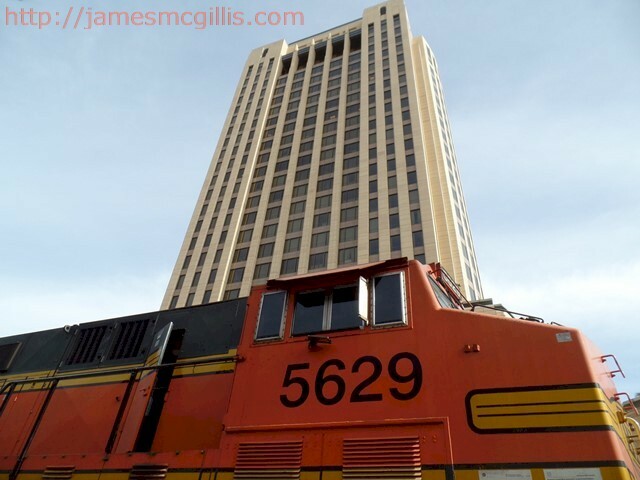 of BNSF freight locomotives at LAUS. Soon after their irrevocable one-year lease at $500 per day each ($7,300,000 total), Metrolink discovered that heavy freight locomotives are more expensive to outfit and operate than they originally thought. Although the BNSF locomotives already featured positive train control (PTC), the software version on the BNSF equipment was two generations beyond what Metrolink was using (version 0 vs. 2.0). 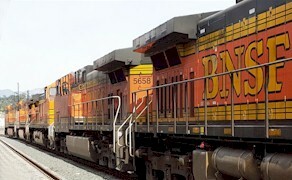 A new train management computer (TMC) and retrofitted software were required for each BNSF locomotive placed into service. By late December 2015, BNSF locomotives entered into limited service on Metrolink lines. Almost immediately, problems developed with their operation. With a gross weight of 420,000 lb., an overall length of seventy-four feet and a wheel diameter of forty-two inches, the huge locomotives had difficulty negotiating ten-degree radius curves such as the one approaching Chatsworth Station. 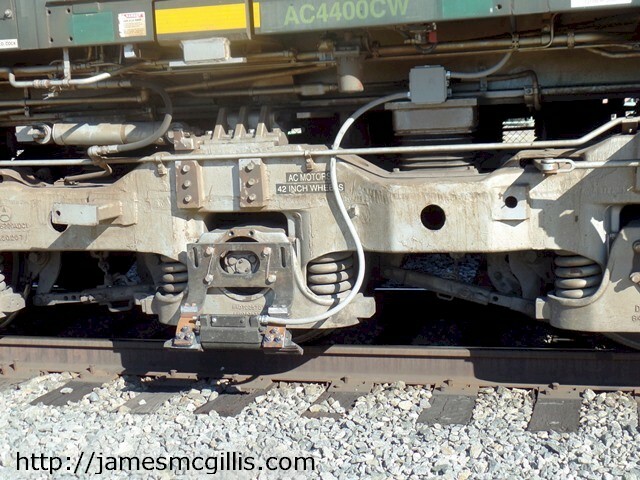 As a result, the wheel-trucks on the BNSF locomotives create premature wear on the inside edge of the outboard rail. In a metallurgical process known as spalling, the BNSF wheels shave steel filings off the rails. The dispersion of filings into nearby electrical shunts often shorts out the signal systems along those tight curves. 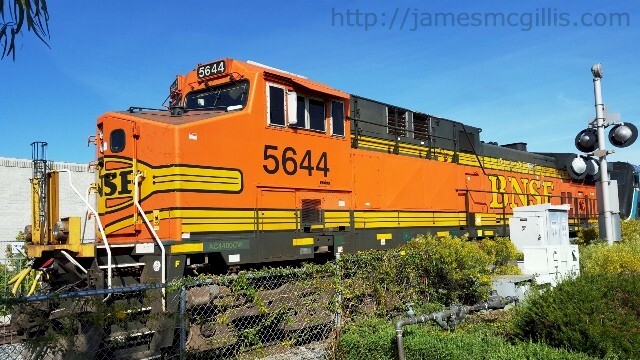 Although the horns on the BNSF locomotives fall within legal standards, their blaring pitch can make them sound louder than a regular Metrolink horn. With their twelve drive-wheels and massive sixteen cylinder turbocharged diesel engines, the BNSF freight locomotives are louder and create more vibration than their passenger locomotive counterparts. 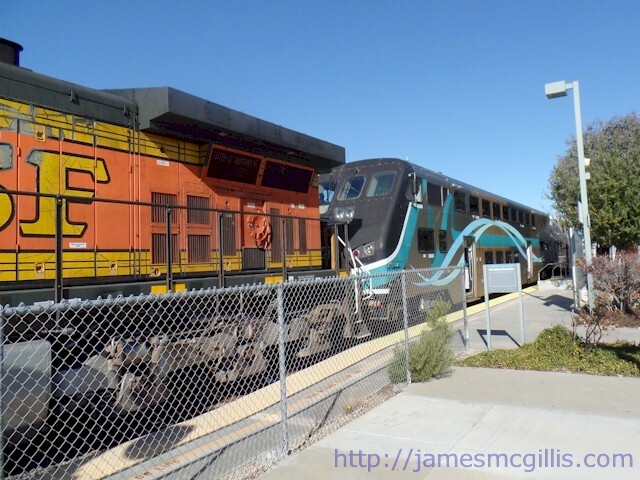 In addition, regardless of their direction of travel, both the BNSF and the Metrolink locomotives generate power, noise and pollution whenever a Metrolink train moves. Despite Metrolink's claims of environmental sensitivity, a double-ender Metrolink train produces almost twice the engine noise and twice the pollution of a single-engine train. Because of the unprecedented use of freight locomotives in their train consists, Metrolink obtained only a six-month temporary waiver to utilize the BNSF equipment. A stipulation of the temporary waiver was that Metrolink would maintain compliance with all positive train control (PTC) regulations as specified by the Federal Railroad Administration (FRA). With a few of the BNSF locomotives entering service prior to January 1, 2016, their six-month temporary waiver shall soon expire. When the temporary waiver expires, will the FRA recertify the freight locomotives under rules for passenger use or will it require a full audit of their operations? One requirement of PTC is that the speedometer on each locomotive shall be accurate at any speed above thirty miles per hour. With a freight locomotive geared for long hauls and a top speed of seventy miles per hour, the stipulated variance of five miles per hour (plus or minus) is difficult to achieve. 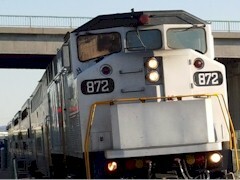 For example, frequent starts, stops and delays for other rail traffic make the use of freight locomotives on the San Fernando Valley line problematic. 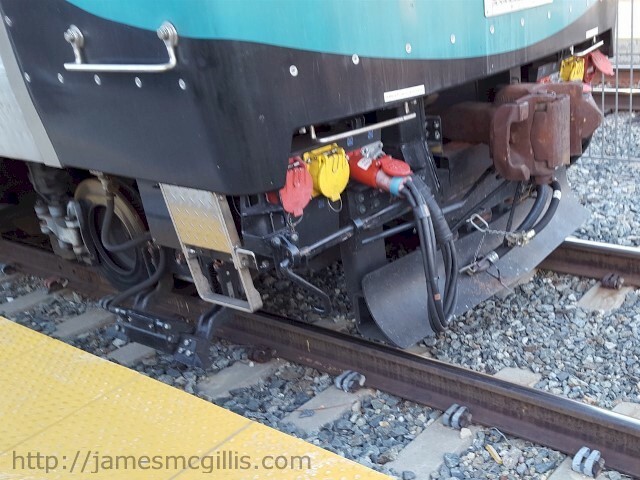 Often operating at just above the thirty mile per hour threshold, a wide variety of speed sensors can cause the TMC to place the locomotive into “penalty mode”. Once it enters penalty mode, the TMC automatically applies the brakes and stops the train, no matter where it may be along the tracks. Before the penalized locomotive can resume service, pumps must refill the air reservoirs that supply breaking power to the train. A locomotive that experiences a penalty can stay in service for the balance of that day. However, a penalized locomotive may not reenter passenger service the following day unless Metrolink corrects the anomaly (inaccurate speedometer) and certifies completion of that work. According to the Los Angeles Times, Metrolink was able to average only twelve BNSF freight locomotives in service per day during April 2016. With so few BNSF locomotives in service, the majority of Metrolink trains returning to LAUS are headed-up by Hyundai-Rotem cabcars. This also begs the question; where are the remaining thirty-eight BNSF locomotives? After the embarrassment of letting the batteries die on the sixteen BNSF locomotives parked at LAUS in late 2015, Metrolink crews jumpstarted those units and repositioned them to the Metrolink Keller Street Yard. To keep their electrical and motive power units in working condition, the non-operating BNSF locomotives remain in temporary storage at the Keller Street Yard. Placed in “automatic mode”, the engines cycle periodically, bringing them up to operating temperature and charging their batteries. Among other things, this periodic cycling of the engines produces wear on the starter motors, flywheels and the diesel engines themselves. 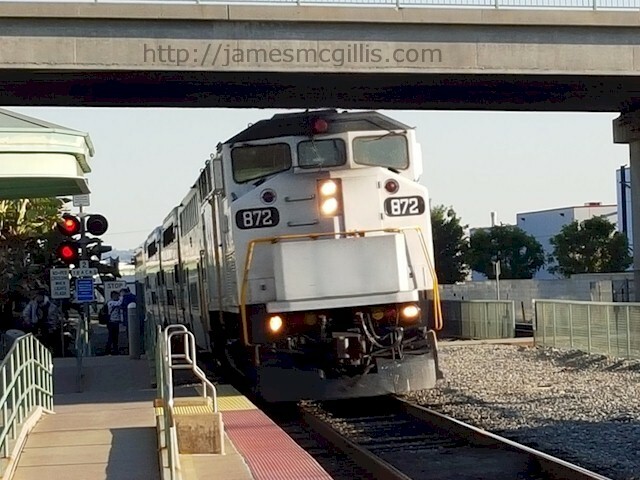 In 2015, a Los Angeles Times article detailed Metrolink’s plans to purchase twenty-nine so-called Tier-4 locomotives. They were touted as state-of-the-art, low pollution passenger locomotives. 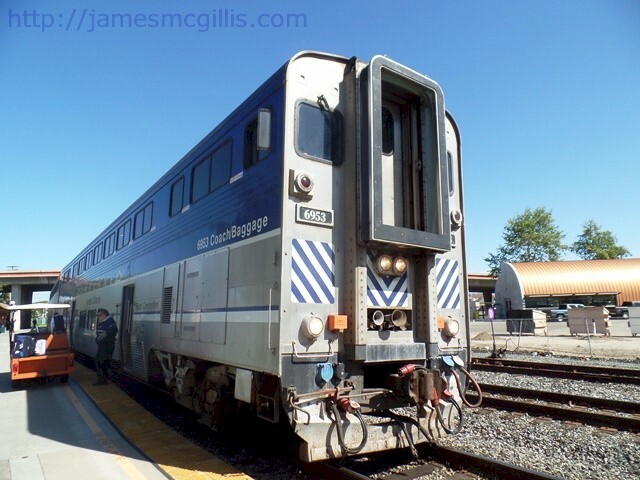 According to the article, Metrolink intends to replace up to forty-nine of its aging and ill-maintained passenger locomotives over the next several years. Meanwhile, forty BNSF Tier-1 (high powered, high pollution) freight locomotives sit largely idle in the middle of Downtown Los Angeles. Hidden from public view, cycling their massive engines, these locomotives pump out untold amounts of air pollution into the Los Angeles Basin. Metrolink’s temporary waiver to operate the BNSF freight locomotives will soon expire. 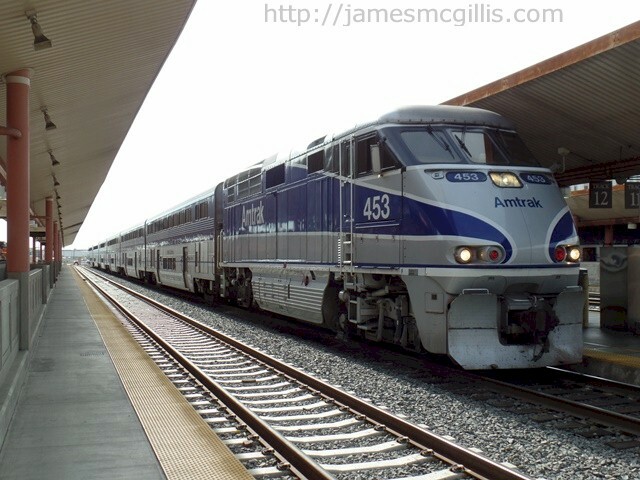 When it does, it will be appropriate for the FRA, the California Public Utilities Commission (CPUC), the South Coast Air Quality Management District (AQMD) and the Southern California Regional Rail Authority (SCRRA) to conduct a complete audit of operations and practices at Metrolink. 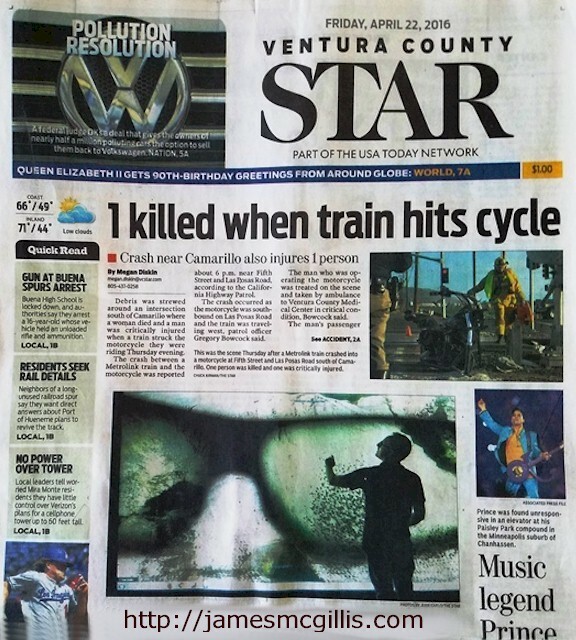 April 21, 2016, the Fifth Street at Las Posas Road grade crossing in Camarillo, California regained the title of “Deadliest Rail Crossing in Ventura County”. Around 6 PM, Garrett Vongunten, 26, piloted his 2015 Harley Davidson motorcycle south on Las Posas Road toward Fifth Street. On the rear seat, Nadya Unger, 23, rode as his passenger. With the late afternoon sun in their eyes, they approached the railroad crossing at an undetermined speed. At 4:33 p.m. that day, Metrolink Train No. 117 had departed Los Angeles Union Station, heading toward its final destination at the East Ventura Station. Near 6:00 PM, the train approached Las Posas Road from the east at normal speed, which can be as high as seventy miles per hour. If the traffic control system operated properly at the grade crossing, the approaching train would activate warning bells, flashing lights and crossing gates to warn vehicular traffic of an oncoming train. 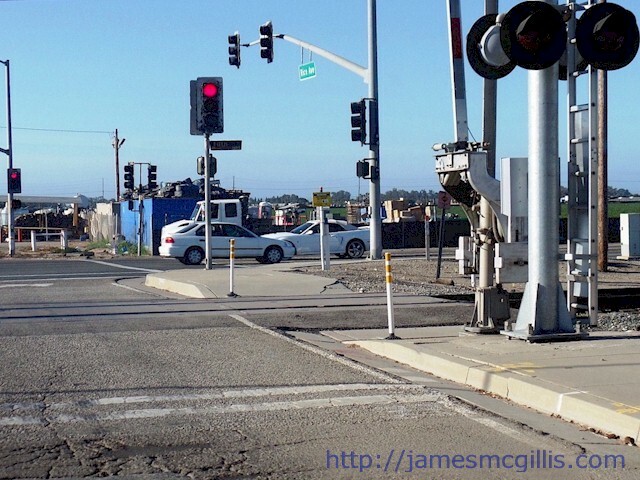 According to Federal Railroad Administration (FRA) guidelines, the rail crossing gates should be down at least twenty seconds prior to a train crossing Las Posas Road. For reasons that included impairment from unspecified drugs and possible excessive speed, Vongunten may have seen the warning lights and gates too late to stop safely. As a result, Vongunten’s motorcycle broke through the crossing gate arm and struck the side of the Metrolink train. Passenger Nadya Unger died at the scene and Vongunten sustained critical injuries, including partial loss of one leg. The motorcycle, missing its operator, its passenger and its front wheel, came to rest upright, facing in the opposite direction of original travel. "You could assume that the motorcycle wasn't in the middle of the track per se because of the location that it ended up," California Highway Patrol officer Gregory Bowcock told the Ventura County Star newspaper. With the collision unseen by the Metrolink engineer, Train No. 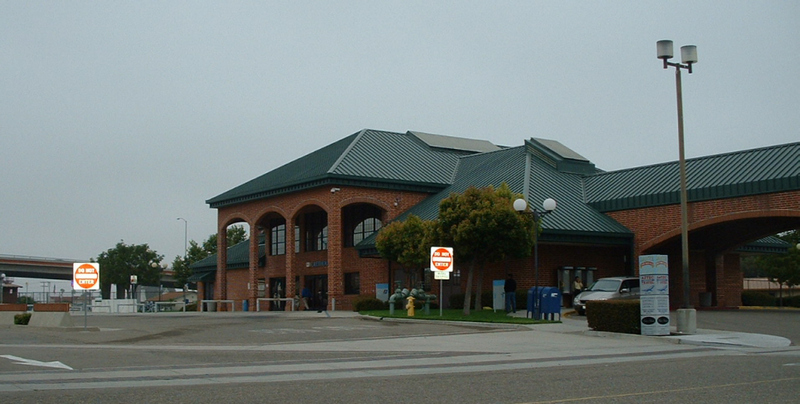 117 proceeded to the Oxnard Transit Center, which was its next scheduled stop. Prior to arrival in Oxnard, a passenger who had witnessed the collision notified the train’s conductor of the event. 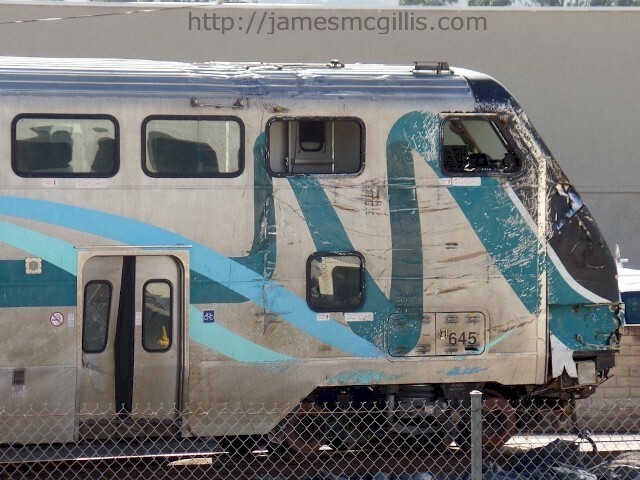 Metrolink held the train in Oxnard until officials could inspect it for signs of damage. A preliminary report indicated that there was evidence of a side impact, including motorcycle parts embedded into a coach and blood on the side of that coach. 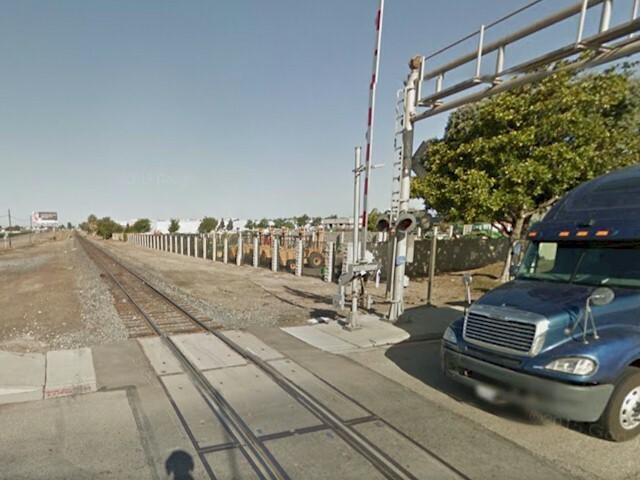 In recent years, there have been multiple train collisions on the Oxnard Plain. 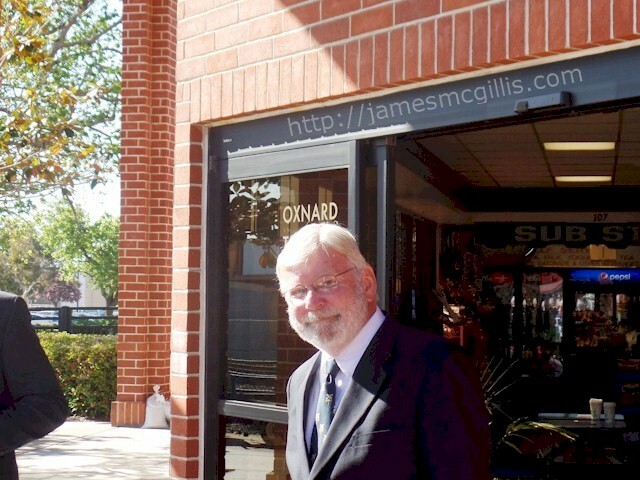 In February 2015, a train collision at the Fifth St. and Rice Ave. grade crossing in Oxnard took the life of Metrolink Senior Engineer Glenn Steele. 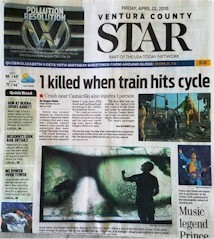 By that time, Fifth & Rice had gained notoriety as the “deadliest rail crossing in Ventura County”. 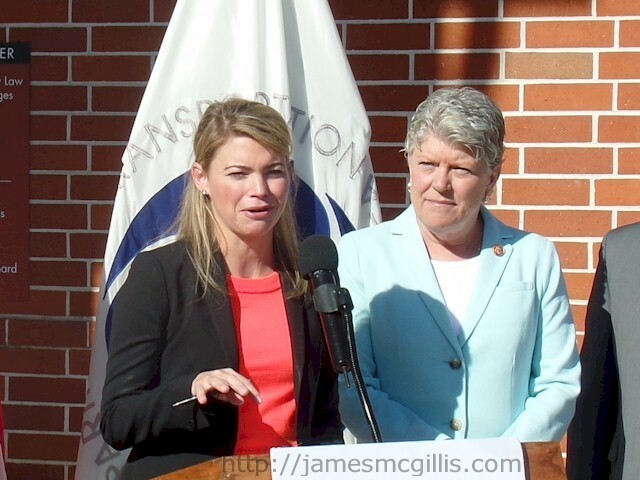 In recognition of the many deaths and injuries at Fifth & Rice, Congresswoman Julia Brownley (D-Westlake Village) secured $1.5 million in federal funds for the design of a grade separation at that location. - At 10:49 AM on December 30, 2013, as an Amtrak train passed by, a car entered the grade crossing at Fifth St. and Las Posas Rd. The driver of the vehicle died at the scene and a nearby railroad service worker received injuries resulting from the accident. - At 10:30 AM on January 24, 2014, crews responded to a train collision at Fifth St. and Las Posas Rd. A seventy-seven year old woman who drove her minivan into the side of a passing Amtrak train succumbed to her injuries at the scene. - At 8:25 AM on April 23, 2015, a Union Pacific freight train collided with an SUV at the intersection of Fifth St. and Las Posas Rd. The driver, a fifty-seven year old man, drove through the crossing gate arm and into the side of the freight train. The driver succumbed to his injuries at the scene. - At 10:30 AM on November 21, 2015, a twenty-three year old man drove his drove his car through the crossing gate and into the side of a moving Amtrak train at Fifth St. and Las Posas Rd. At the time of the collision, the crossing gate arm was down and the safety lights were flashing. The driver died days later at a local medical center. In less than three years, there have been five fatal train collisions at Fifth & Las Posas. The common denominator of all five collisions was that the crossing gates were down, warning lights were flashing and bells were ringing. Even so, each ill-fated vehicle entered the railroad right of way and collided with a moving train. There is no evidence that any one of the five most recent fatal accidents at Fifth & Las Posas was a suicide. Unlike the Fifth & Rice grade crossing, the Fifth & Las Posas grade crossing has only the minimal safety features mandated by law. 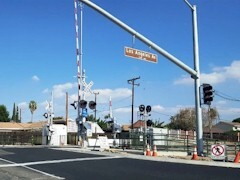 At the tracks, Rice Ave. is a divided road, with overhead safety lights, signage, and four crossing gates intended to seal the rail corridor from errant vehicles. At the tracks, Las Posas Rd. is undivided, with no overhead safety signage and only two crossing gates. Even if the gates were down, a driver could cross over the double-yellow lines and drive around the crossing gates. To the unsuspecting driver, the Las Posas Rd. southbound approach to Fifth St. looks like a little-used rural grade crossing. 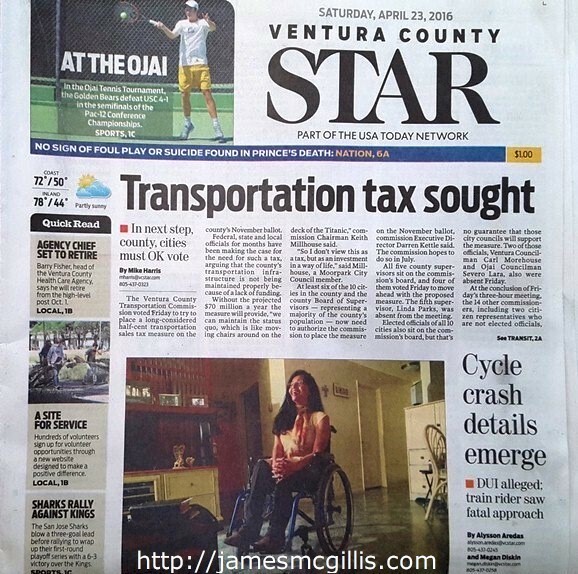 On Friday April 22, 2016, one day after the death of Nadya Unger and the critical injury Garrett Vongunten, the Ventura County Transportation Commission (VCTC) voted to support a half-cent transportation sales tax for Ventura County. Nineteen of the fifty-eight counties in California have such a tax, including all the major counties in Southern California. If it makes the November 2016 ballot, the measure will still require approval by a two-thirds majority of county voters. If it passes that hurdle, the new sales tax will provide $70 million annually, earmarked for transportation improvement projects within Ventura County. Five fatal train collisions at Fifth St. and Las Posas Rd. should be enough to place that grade crossing at the top of Ventura County transportation improvement projects. 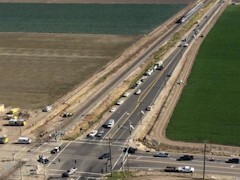 Suggested improvements include realigning Las Posas Rd. to make it a divided road as it crosses the tracks, installing overhead warning signs and creating a four-gate system of vehicle barriers. Although foot traffic is light at that location, the new safety plan should include sidewalks and pedestrian gates there, as well. 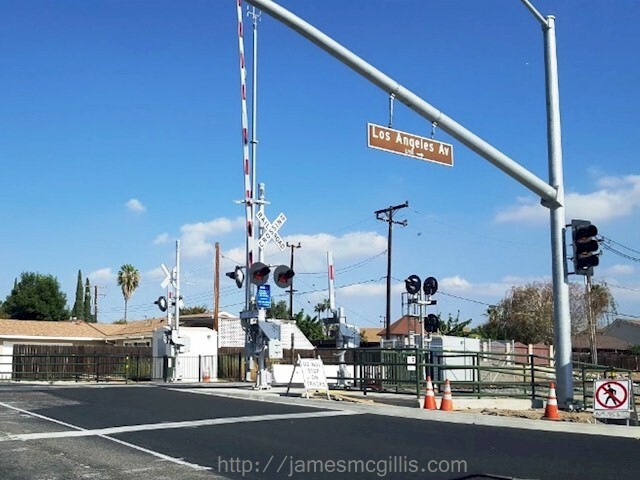 Proposed upgrades to the rail crossing will not stop speeders from trying to beat a train to the crossing nor end inattentive driving, but they will increase the chances that motorists will receive warning in time to stop safely at Fifth & Las Posas for an oncoming train. 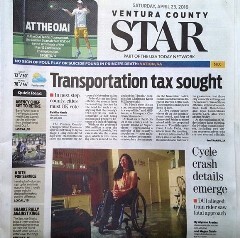 I hope that public officials throughout Ventura County support a half-cent sales tax dedicated solely to transportation improvement projects. In April 2015, I published an article regarding the March 24, 2015 Metrolink collision in Oxnard, California. That predawn collision injured thirty-three passengers and took the life of Metrolink Senior Engineer Glenn Steele. 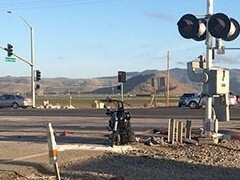 With its daily traffic count of 35,000 vehicles, the Fifth Street and Rice Avenue (Fifth & Rice) grade crossing already ranked as the deadliest in Ventura County. 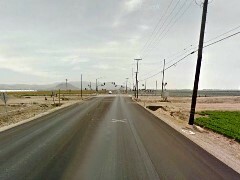 During my April 2015 visit to the site, I noted that the southbound Rice Ave. approach to the crossing remained as derelict as it was prior to the collision. Since then, I have published a series of rail-safety articles, each of which mentioned specific unsafe conditions at Fifth & Rice. To be fair, Union Pacific Railroad (UPRR) completed minor repairs to the traffic warning system and rebuilt a fence destroyed by the Metrolink cabcar during the collision. Now, thirteen months after the latest deadly collision at Fifth & Rice, the busy rail crossing still looks much as it has for decades. 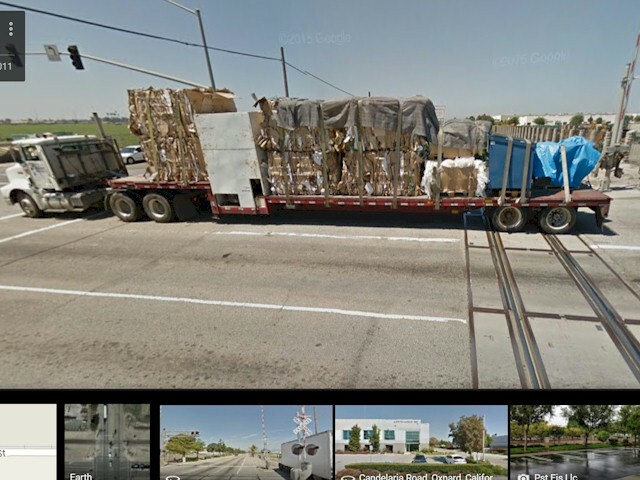 In past articles, I have called out the UPRR, the California Public Utilities Commission (CPUC), the California Department of Transportation (Caltrans), Rail Corridor Agency LOSSAN, Metrolink, the City of Oxnard and the Ventura County Transportation Commission (VCTC) for their sluggish response to the ongoing dangers at Fifth & Rice. Simple upgrades, such as repaving the Rice Ave. southbound approach, restriping its safety lines and adding additional pylons and street-level reflectors have not happened. Inexpensive changes of this type could militate against an accidental turn on to the UPRR tracks. 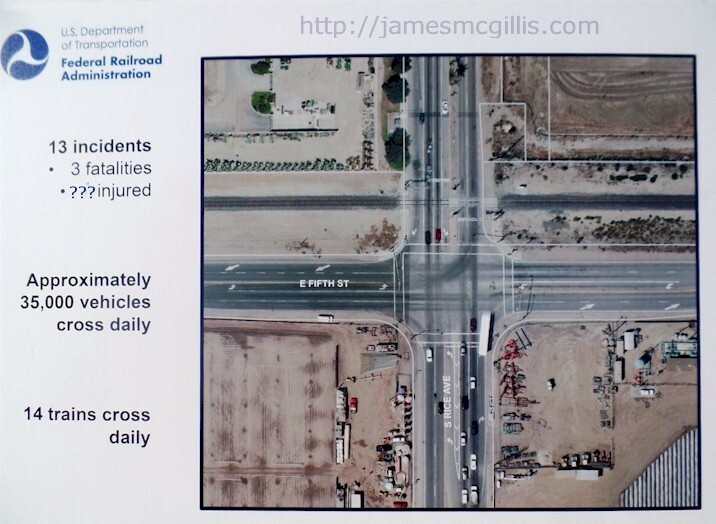 It was just such a wrong turn that led to the 2015 Oxnard Metrolink collision. According to evidence at the scene, all of the agencies listed in the previous paragraph dithered, delayed or ignored short-term fixes of the obvious deficiencies at Fifth & Rice. Meanwhile, one person made it her mission to help solve both the short-term and long-term safety issues existing there. That person is Congresswoman Julia Brownley (D-Westlake Village). 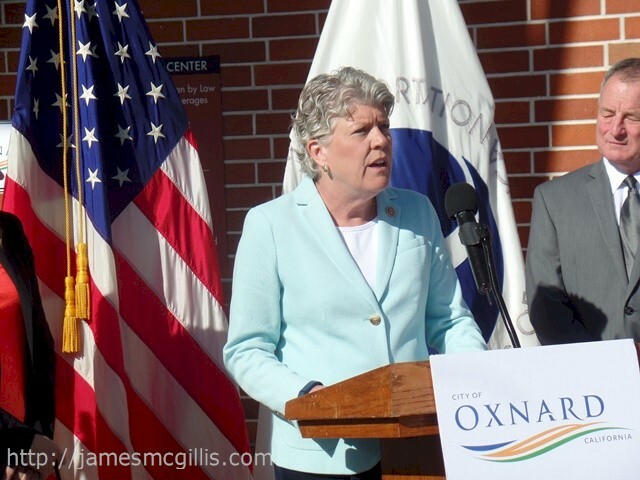 Soon after the February 2015 Oxnard Metrolink collision, Brownley stepped up her communications with several agencies, including Caltrans, the CPUC and the Federal Railroad Administration. In a March 2, 2015 letter to Caltrans Director Malcolm Dougherty and CPUC President Michael Picker, Brownley implored both agencies to free up some of the unallocated $42 million in federal safety grants then languishing within those agencies. On April 30, 2015, Dougherty wrote a letter to the Brownley, indicating that none of the rail grade crossings in Ventura County ranked high enough on the “priority diagnostic list” to warrant funding at this time. In defense of CPUC actions, Dougherty sited $7.4 million in funds allocated to Ventura County in 2015. As the lead agency in the Sealed Corridor Project, Metrolink utilized those funds to upgrade warning and safety systems at three grade crossings in Simi Valley and another in Moorpark. 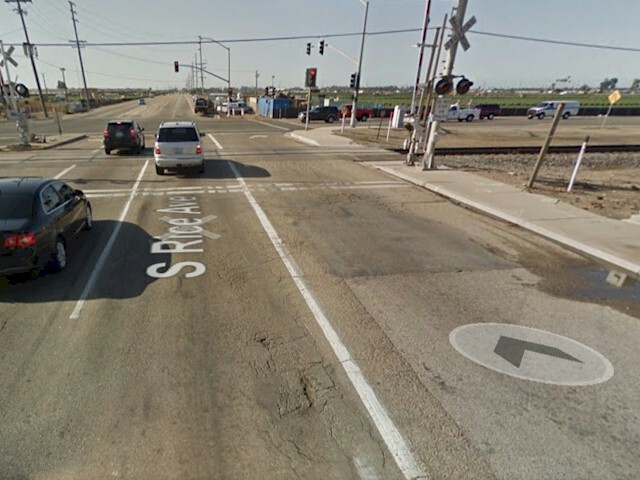 Why Fifth & Rice, the busiest and deadliest commercial grade crossing in Ventura County received no mention or funding is a mystery of bureaucratic communications and cooperation. 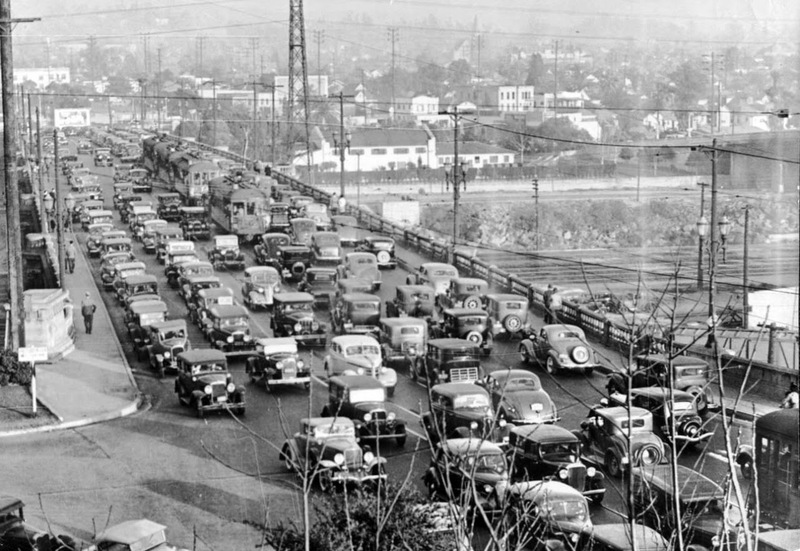 “Median islands, quad gates, flashing lights, audible warning bells” – At the time of Dougherty’s letter, the support structure for the overhead warning lights, known as a crossbuck showed evidence of damage from an earlier traffic collision. Only after I published photos showing the perilous condition of the overhead safety equipment did the UPRR replace the entire unit. “An interconnected traffic signal” – When a train approaches the crossing, the traffic signals on Rice Ave. turn red. The left turn signal from Fifth St. East to Rice Ave. North also turns red. When a train is present, those signals keep traffic northbound on Rice Ave. from crossing the tracks. Normally, the traffic signals approaching the tracks northbound work as intended. “Interconnected traffic signal (cont. )” – Southbound on Rice Ave, the traffic signals do not provide adequate safety for vehicles stopping at Fifth St. The distance from the crosswalk at Fifth St. to the railroad tracks is less than fifty feet. As the major truck route to Naval Base Ventura County and the Port of Hueneme, hundreds of big rigs travel south on Rice Ave. every day. Inexperienced or unknowledgeable truck drivers often pull across the tracks and stop at the intersection, waiting there for a green light. While waiting there, the rear portion of a fifty-three foot long trailer overhangs the railroad tracks. 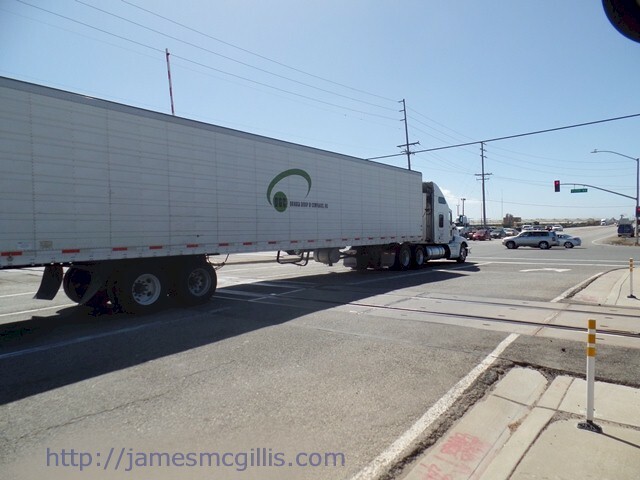 If cross traffic prevented an idling tractor-trailer from moving forward in time, an approaching train could easily strike the trailer. “Required pavement markings and advance warning signage” – On the southbound Rice Ave. approach, the pavement is cracked, rutted and generally worn out. Likewise, the pavement markings appear worn, cracked and faded. On approach to the tracks, there are no road reflectors of any kind, thus making a nighttime approach a disorienting experience for drivers unfamiliar with the intersection. Within a few yards of the tracks, there are two small signs reading, “Do Not Stop on Tracks”. Other than the crossbuck and the faded roadway markings, those two small signs are the only visual warnings for big rig drivers. The overhead crossbuck should include a lighted, flashing sign reading, “Big Rigs Stop Here on Red Signal”. The cause of the February 2015 Oxnard Metrolink collision is not in dispute. Mr. Jose Sanchez-Ramirez mistook the railroad right-of-way for Fifth St. After making an errant right turn, Sanchez-Ramirez drove his work truck and utility trailer on to the railroad tracks. Eighty feet west of Rice Ave., his rig came to rest. Soon thereafter, Metrolink Train Number 102 struck the disabled truck, derailing all of the cars in the train, injuring thirty-three and ultimately causing the death of Senior Engineer Glenn Steele. 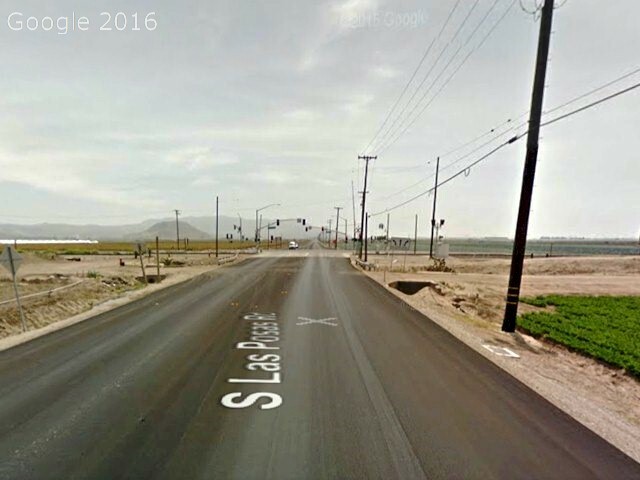 With the prevalence of faded or nonexistent roadway safety markings, it is easy to see how Sanchez-Ramirez made that mistake. Almost one year later, an unnamed agency installed one small reflective pylon near the curb, on either side of the tracks. Although intended to warn drivers not to turn on the tracks, the two pylons now appear to be the entrance to a small roadway, thus creating the opposite of the intended effect. To avoid continued confusion, especially at night, the responsible agency should immediately install multiple reflective pylons and a string of road reflectors spanning the railroad right of way. In December 2015, President Obama signed a $305 billion highway bill, intended to keep our highway infrastructure from deteriorating even further. 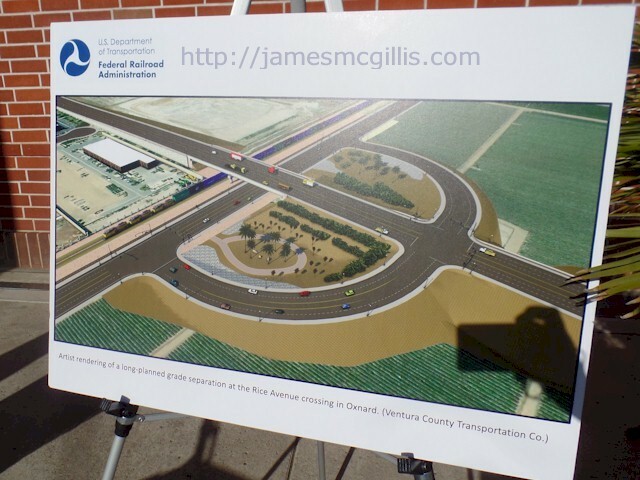 Within that bill was an allocation of $1.5 million designated for the initial design of a grade separation and highway overpass at Rice Ave. and Fifth St., in Oxnard, California. When no one else could, or would do anything substantial to solve the problems associated with that deadly grade crossing, Rep. Julia Brownley stepped up and secured that funding. In doing so, she created the first step toward ending the serial disaster that is the grade crossing at Fifth & Rice. 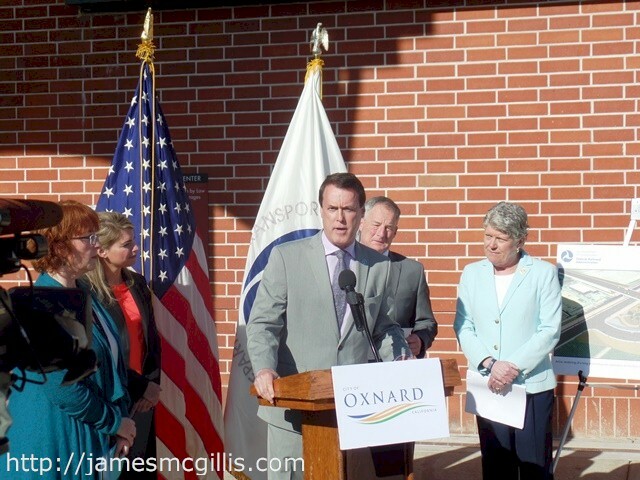 On March 29, 2016, politicians, bureaucrats and the press gathered at the Oxnard Transit Center to celebrate the $1.5 million federal grant. As several Amtrak trains whizzed by just a few yards away, representatives from the Federal Railroad Administration, Caltrans, the Ventura County Transportation Commission, the City of Oxnard and Metrolink all spoke about the need for safety improvements at Fifth & Rice. 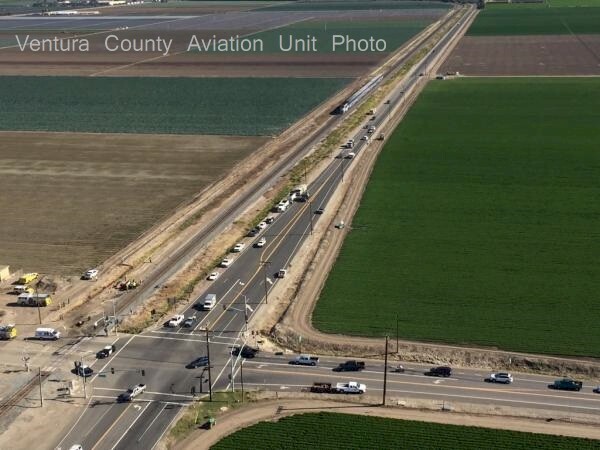 With no half-cent sales tax levy in Ventura County focused on transportation projects, none of the speakers mentioned that it might take ten years to secure funding for the $42 million grade separation and overpass. Still, the conclave and its message amounted to a small step in the right direction. 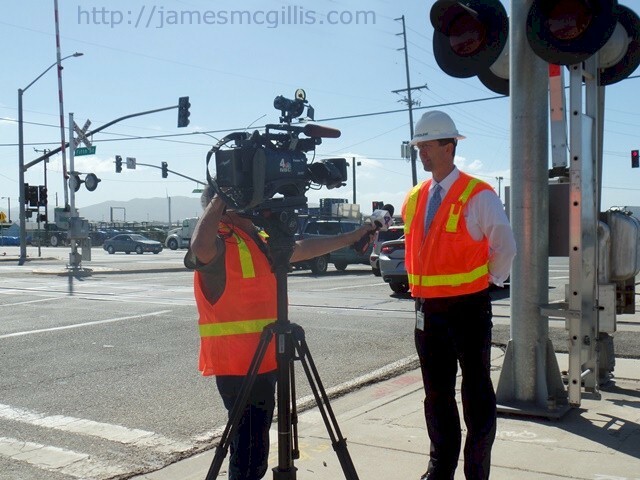 After the close of the public ceremony in Oxnard, I once again visited the dangerous intersection at Fifth St. and Rice Ave. With news cameras from several Los Angeles TV outlets rolling, a Metrolink official and I watched typical midday traffic at the grade crossing. In less than thirty minutes, a local freight train traveled north and an Amtrak train traveled south along the tracks. In the interval between the two trains, at least one big rig stopped for the southbound signal at Rice Ave. For more than one minute, its trailer blocked the tracks. Moments later, as the Metrolink representative and I looked on, a late model Camaro approached the tracks southbound on Rice Ave. As the traffic signal changed to amber, the driver sped up to perhaps fifty-five miles per hour. After the Camaro crossed the tracks, it briefly went airborne, and then landed hard in the middle of Fifth St. From there, it continued at high speed. In my mind, I pictured that driver seeing flashing red lights at that grade crossing. Would he have skidded to a stop or tried to drive under the safety gates as they descended? In 2009, motorist Joel Anthony Arias, 20, tried to beat a train to the same crossing. Both he and his passenger died in a high-speed collision with an Amtrak train. 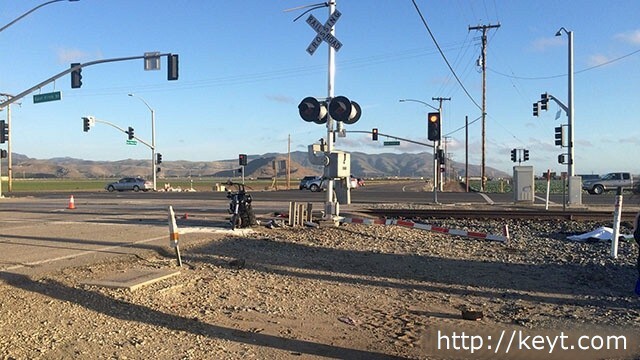 Now, over one year after the death of Senior Engineer Glenn Steele and the injury of dozens more, we begin to see some small steps toward increasing public safety at the deadliest grade crossing in Ventura California. When no one else could or would address rail safety at the street level, Brownley and her staff persisted in their advocacy and actions. On behalf of all who must cross the tracks at Fifth & Rice, I offer special thanks to Congresswoman Julia Brownley and her dedicated staff.